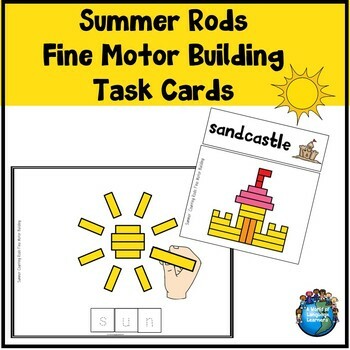 Use these summer themed task cards along with rods, to help students improve their fine motor skills. Practicing fine motor skills is important for young children. 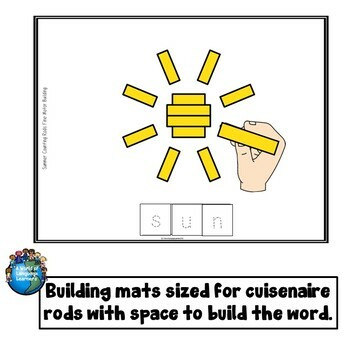 This set has task cards and building mats that go with rod sticks. The set also comes with word, letter, and picture cards for students to trace and match to the rod picture. For the building mats the picture come is color (standard color and color based on what typically comes in a rod set) and black and white. 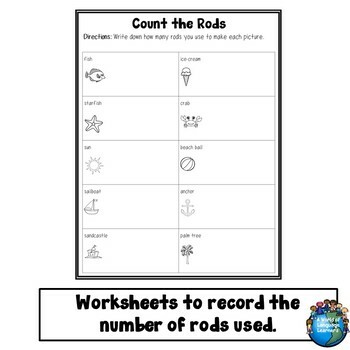 There are also recording sheets and a sentence frame to guide students in counting the number of rods used. The pictures are a great way to review the vocabulary with ELLs before they begin building. 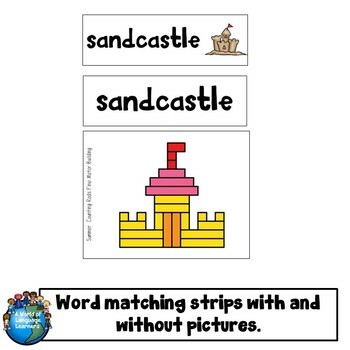 **Get this as part of my BIG Fine Motor Task Card Bundle for a 40% savings.